Is crocheting for money possible? 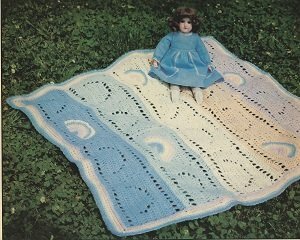 "Earn extra money at home"
Here we will cover crocheting for money, helps, tips and ideas for your home based business.Teaching how to make a ripple crochet blanket using written instructions and pictures. This is just one way to earn some extra income. A few helps, tips and ideas for your home based business. There also will be patterns to get you started. 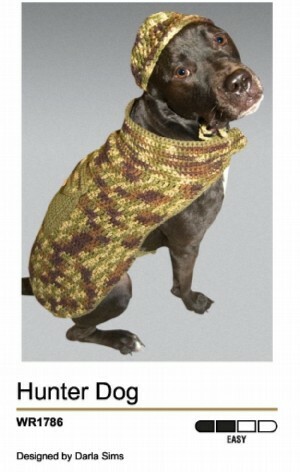 Such as a loom knit dog sweater. Free Easy Crochet Dog Sweater pictured in the picture to the upper right. I love knitting and crochet, each has its own place in my life. I love to use my knitting machines when I am at home, but when traveling it is the crochet hooks I pull out. Yes, crocheting on the go is a constant activity in my life. Crocheting for money is possible if you choose the right items to make and sell. 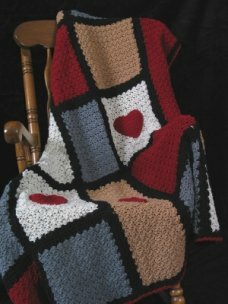 I love to crochet baby blankets, as they are such great gifts and easy to sell. This is one of you most profitable items you can make when crocheting for money. Usually I have one in the making at all times. And the doll clothes sell well at the craft fairs . Crochet hooks and yarn are so very portable, it is easy to carry your projects with you where ever you go. There are always baby showers and special occasions, people are always looking for beautiful gifts. And nothing says I care like a handmade gift. So I am always working on one item or another. If you crochet already I know you are the same way. But now we are going to learn to earn money with this obsession. That explains why a craft business is so perfect for me, doesn't it? Where ever I go I am working on an item for the business. You always need a supply of slippers, hats, mittens, doll clothes and baby items. And these are perfect when you are crocheting for money, because they are small and make up quickly. And of course there are always the special orders that can't be made ahead of time. The customer will order a specific item in a special size or certain colors. So we are constantly creating, making and thinking of what else we can add to our inventory or line. 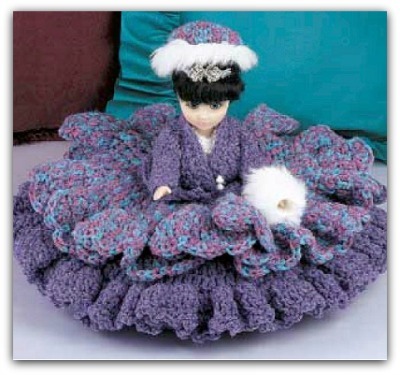 Crocheting for money is not easy if you are just making and selling large items like afghans. You must add smaller items that make up quickly or you will never make any profit. Once addicted, yarn and patterns are something you are always looking for. Yes even at yard sales, thrift stores or retail stores. If there is yarn we will find it. Always keep your eyes open for needles, hooks, looms, books and machines at these places. If you come across the wide handle crochet hooks do buy them, these hooks are fabulous. If you are looking for the best of the webs yarn store than Joann.com should be at the top of your list. I often go to Joann.com and buy my crochet supplies because they have such good specials. The shipping is very reasonable and I have never had a problem with them. to buy discount yarn wholesale you must buy in great volume and have a sales tax number. This is not an option for many so the next best thing is to shop and research your yarn prices. This site is for both the beginner and the experienced. If you are a beginner, look for the basic patterns and instructions. If you are experienced, go straight to the business pages. You don't have to know all the fancy stitches. Basic crochet stitches with a good choice of yarn can make beautiful items to sell.Here is a free and easy dog sweater pattern. to get you started. Lets make your dream come true and have some fun creating, sharing and learning a new home based business. Even for personal use, gift giving, charity or earning an income, crochet if fun. And including crochet items in your business plan is an ideal addition for your business. I will also show you that you can learn to knit even without needles. I will share ideas, patterns and projects with you. As I hope you will share your stories with us. Whether done by hand, on a loom with hooks or on a machine, I love it all. 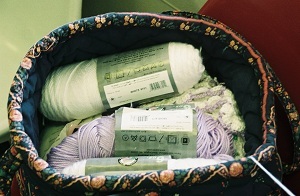 Give me yarn, and patterns and I am a happy camper. I could not ask for a better business, so come on. So now lets carve out your niche in this market. 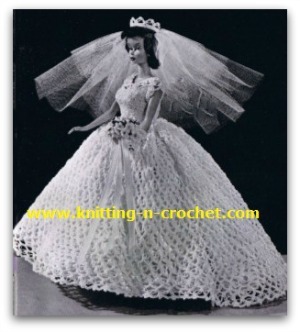 Check below for more about crocheting ideas and some ideas for added income. How to teach left handers to crochet. Free crochet hat patterns : Free crochet hat patterns and where to find them.